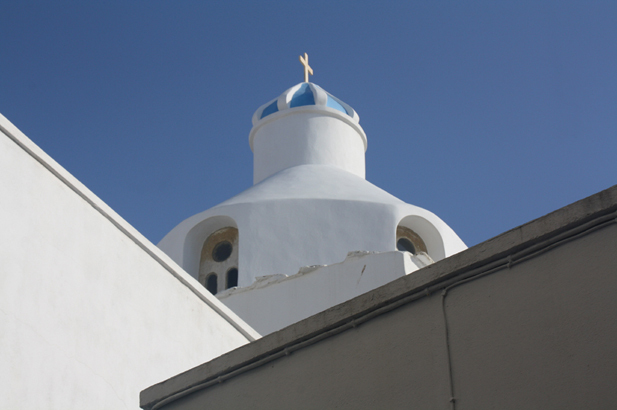 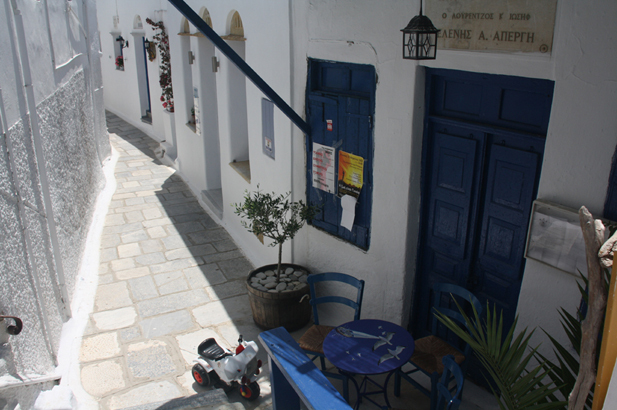 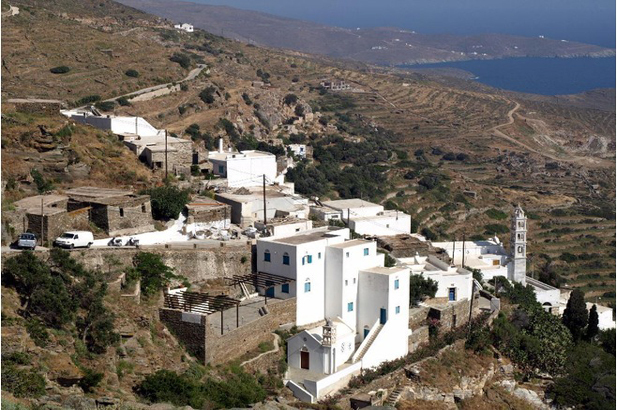 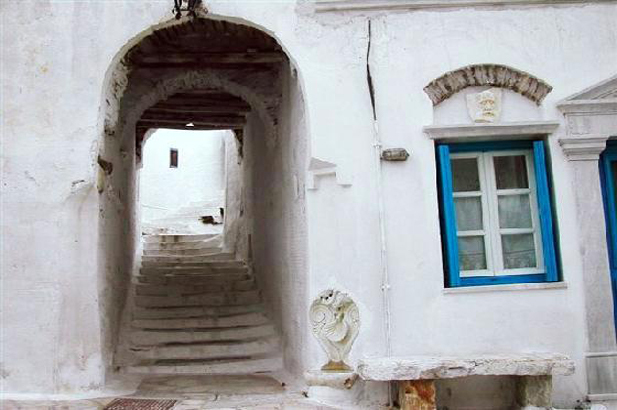 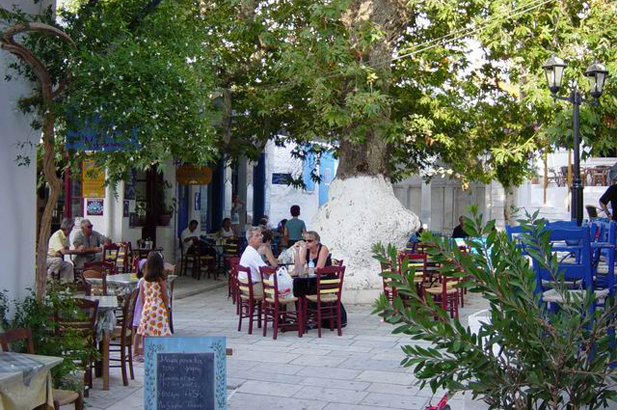 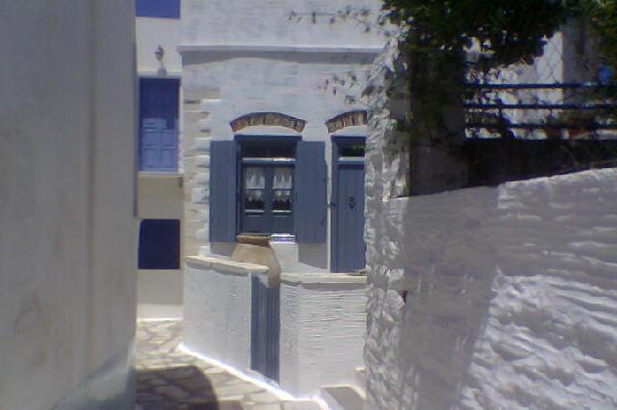 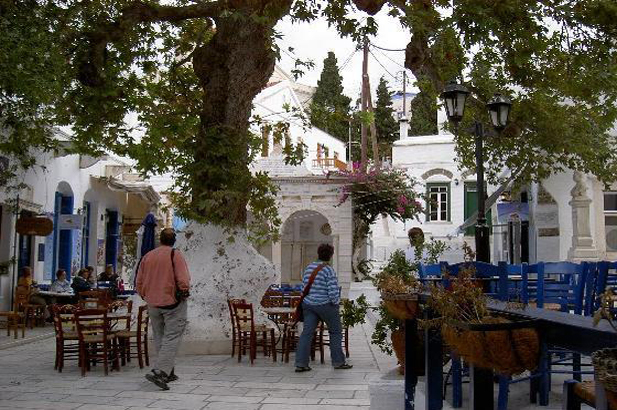 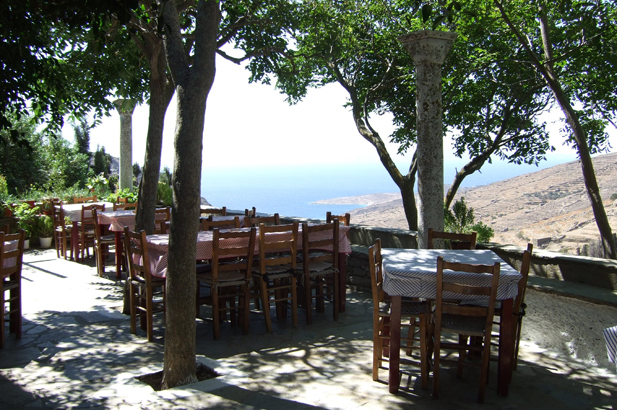 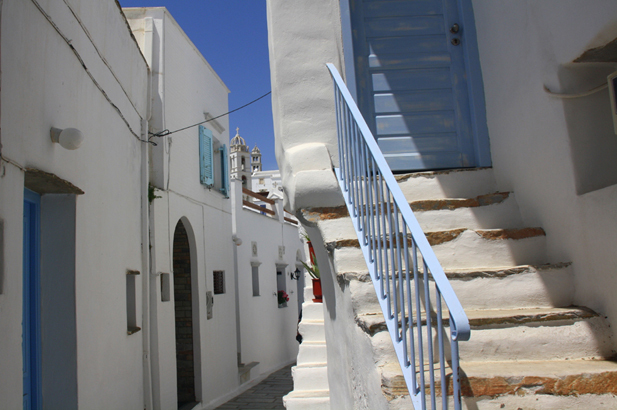 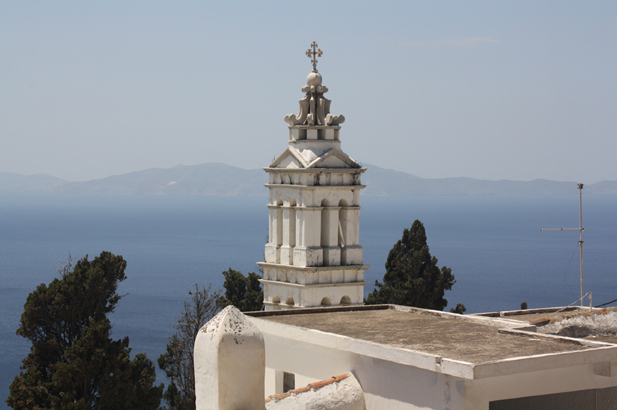 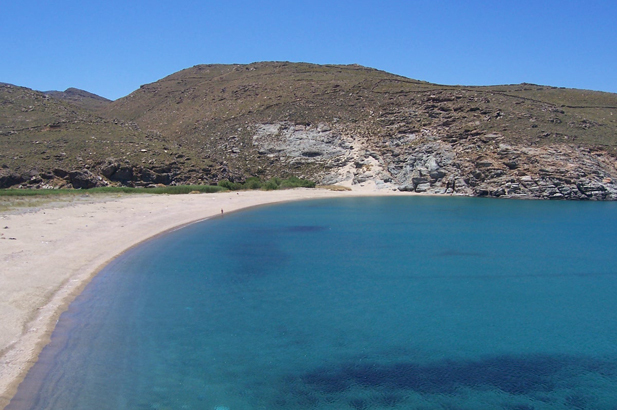 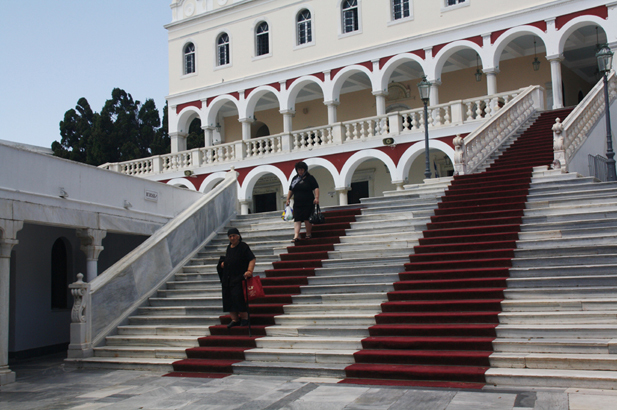 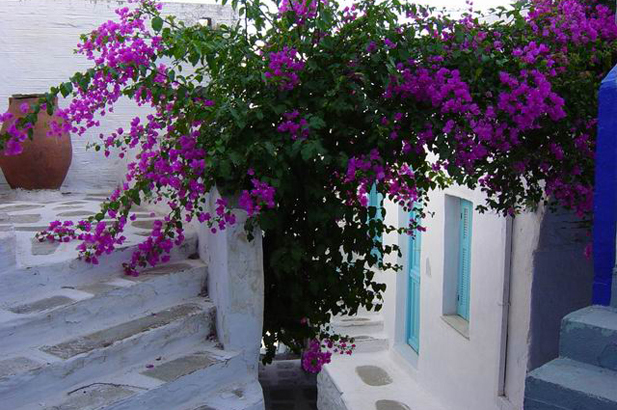 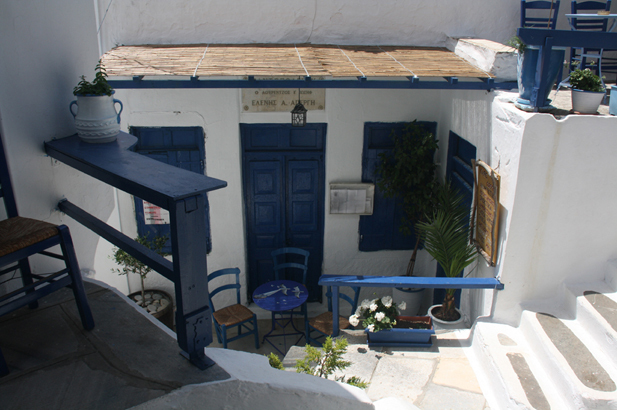 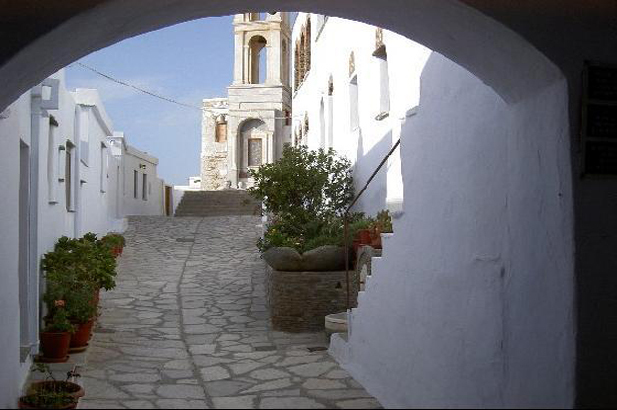 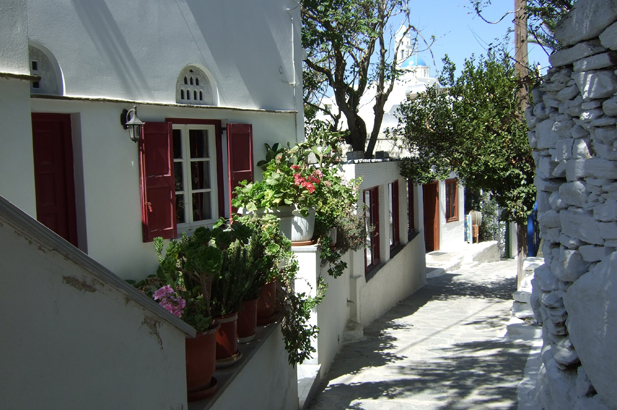 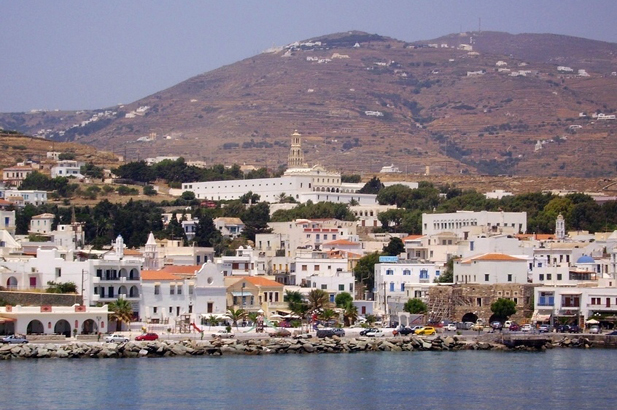 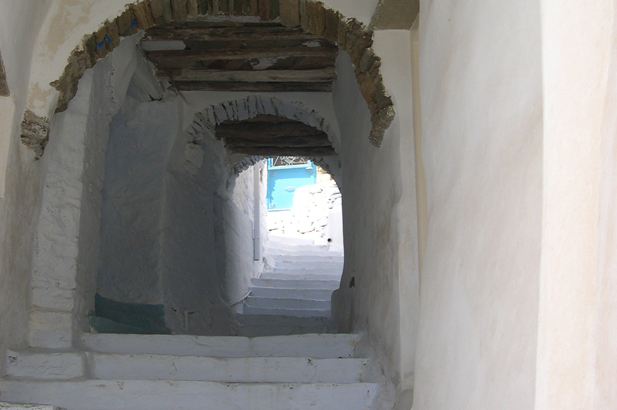 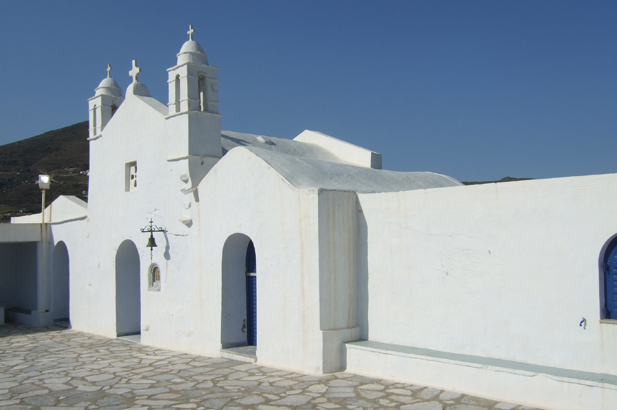 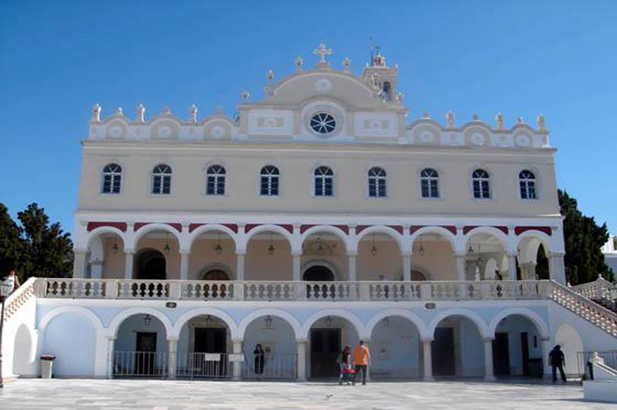 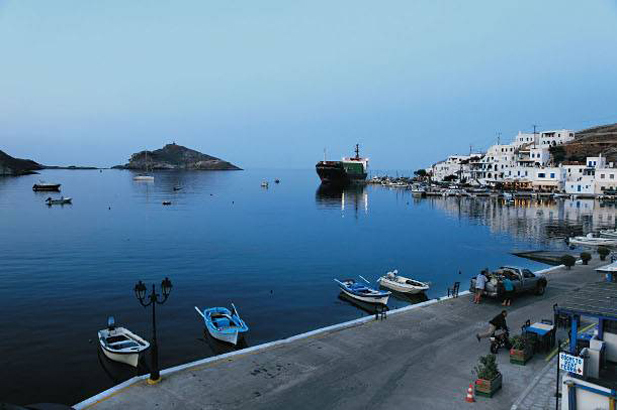 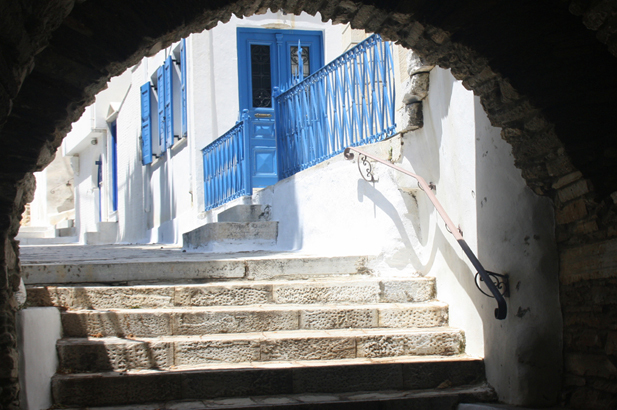 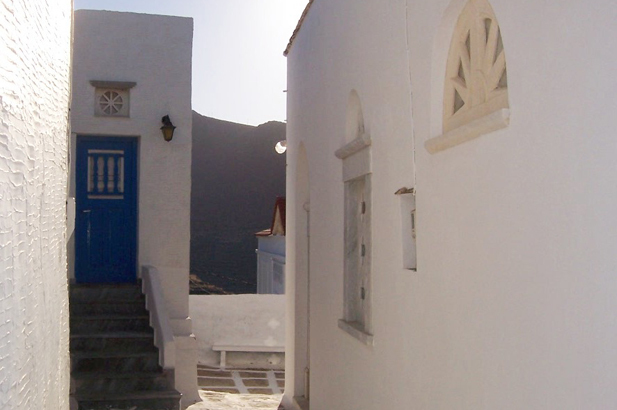 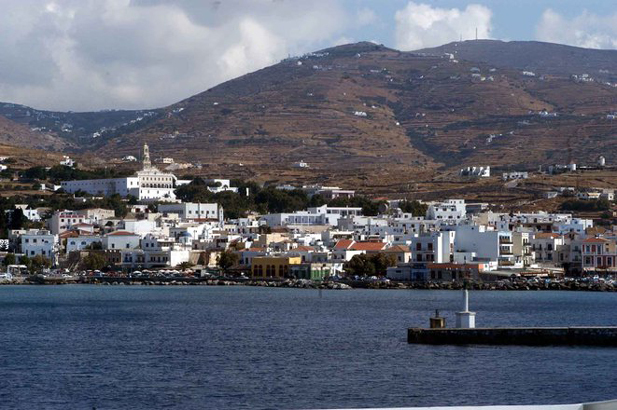 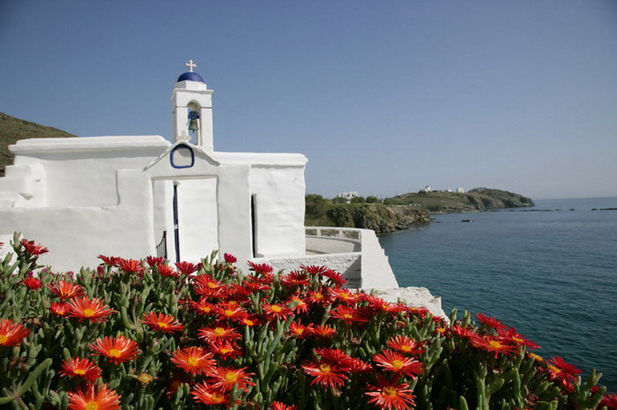 Tinos is the archetypal Cycladic island without the blight of too much tourism. 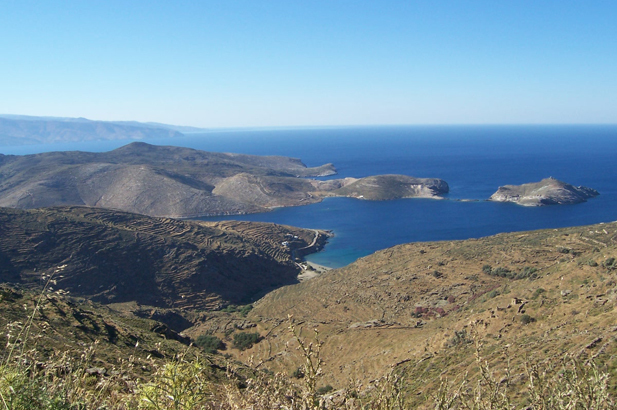 A barren, mountainous mass with the typical dry terraces, rocky peaks, wide sandy beaches, azure waters and fertile valleys of the Cyclades. 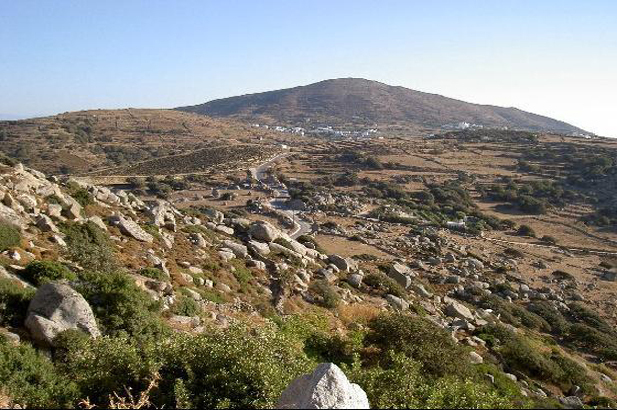 Aiolos, the ancient keeper of the winds, resided, they say, on the peak of mount Tsiknias. 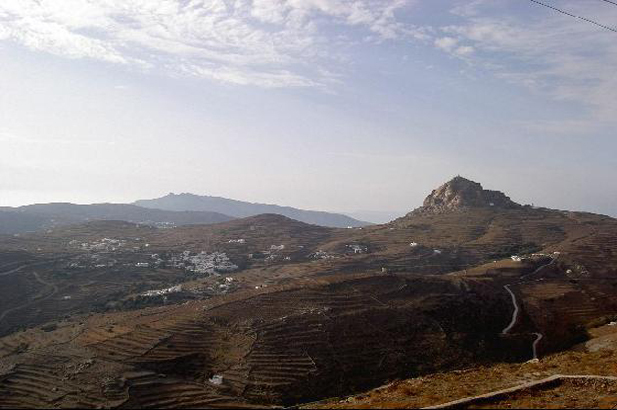 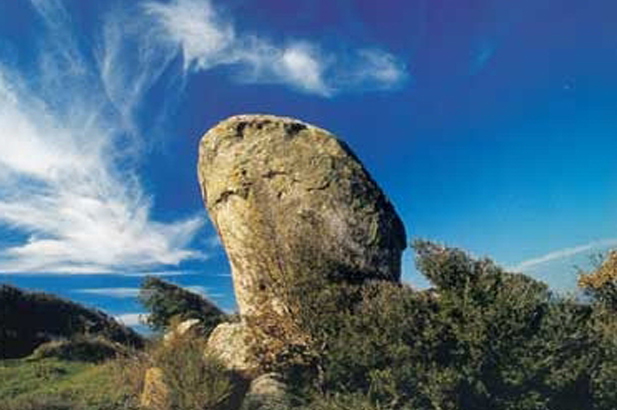 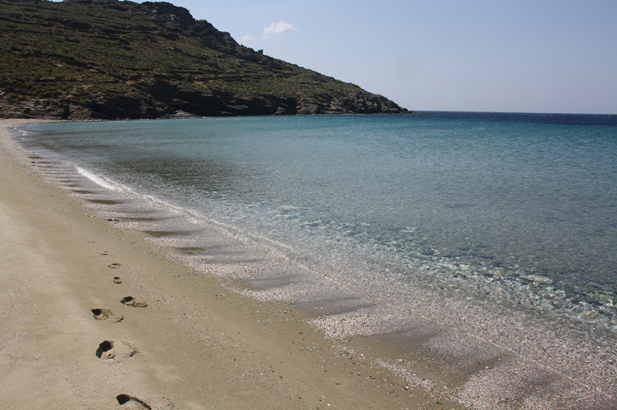 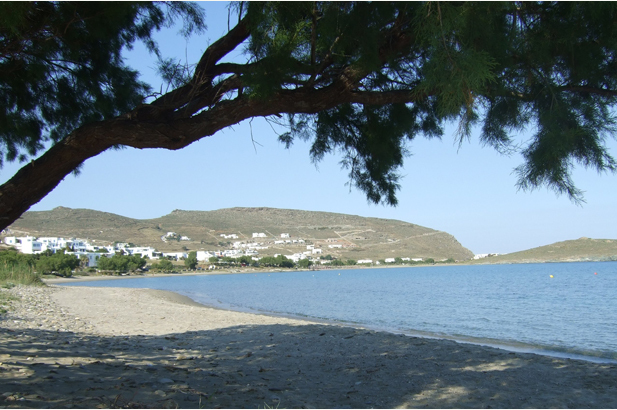 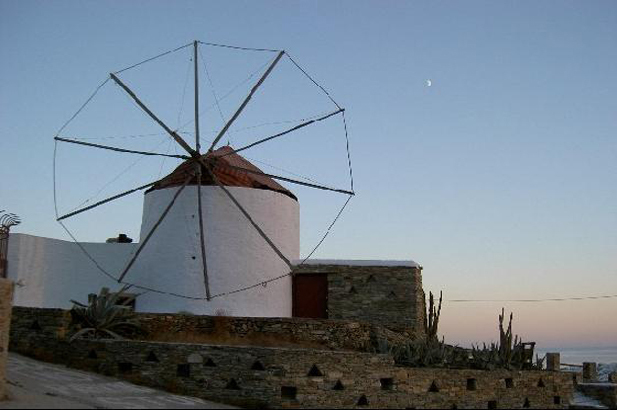 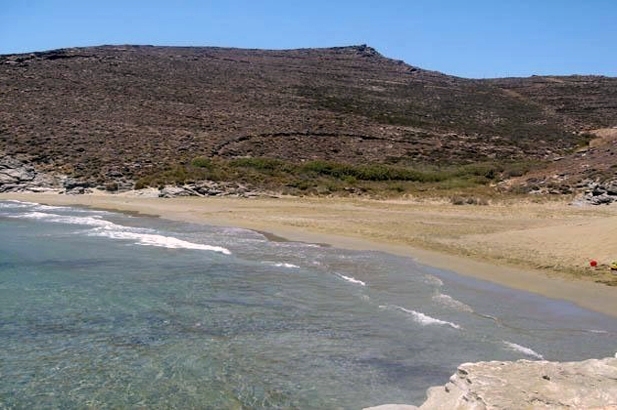 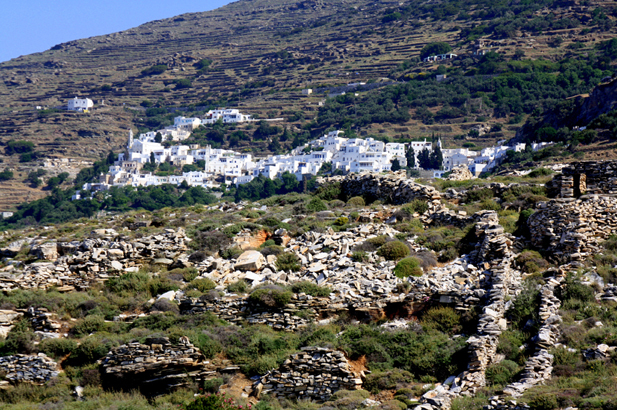 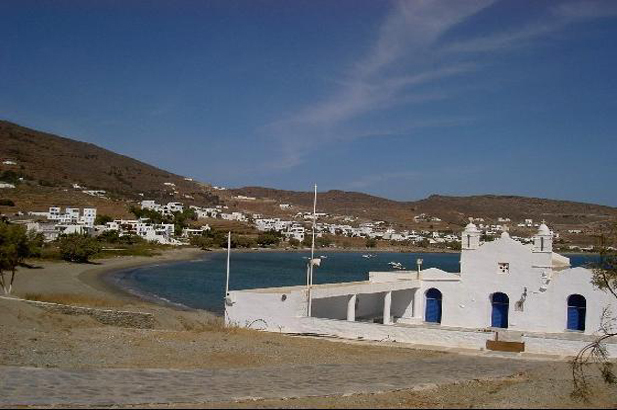 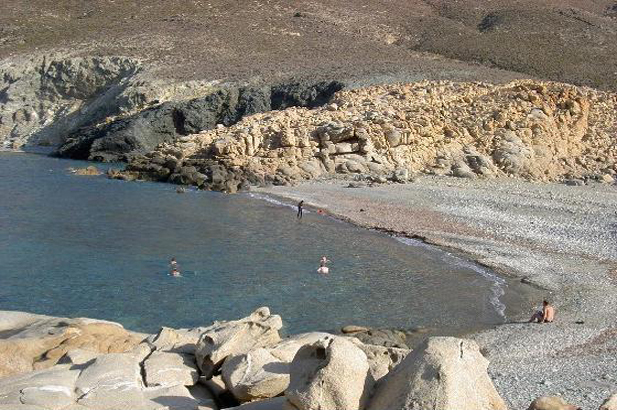 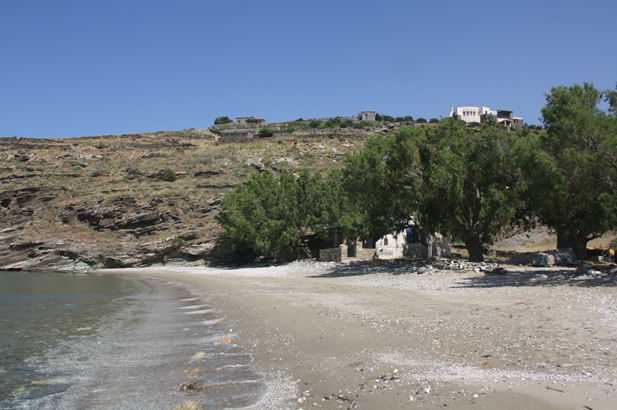 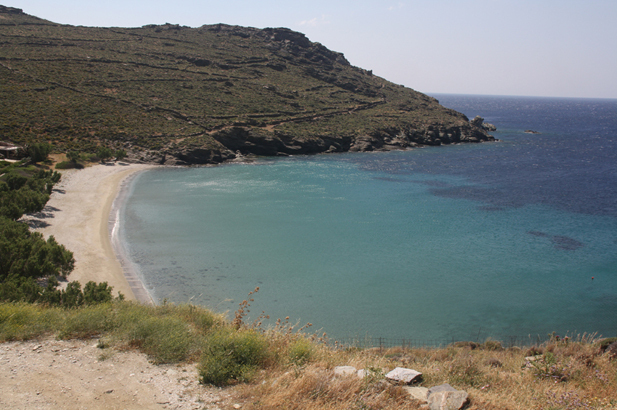 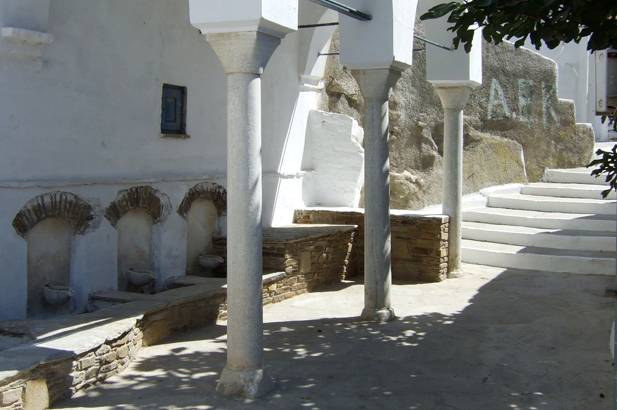 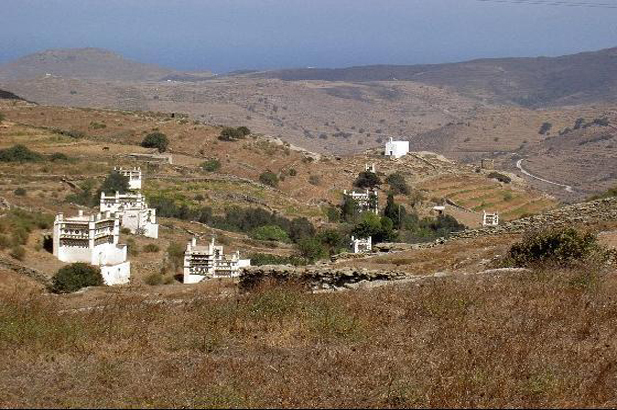 Tinos is still blown around by the summer meltemi after several thousand years. 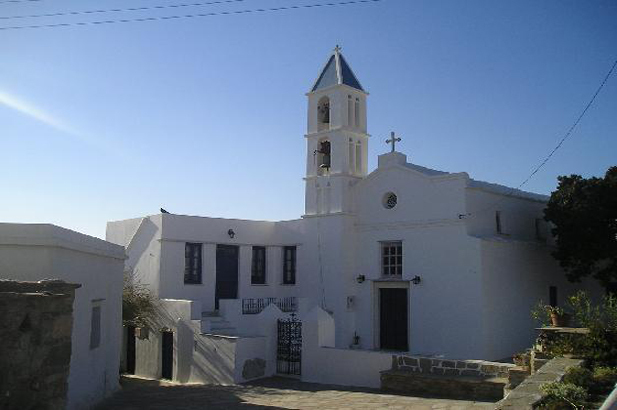 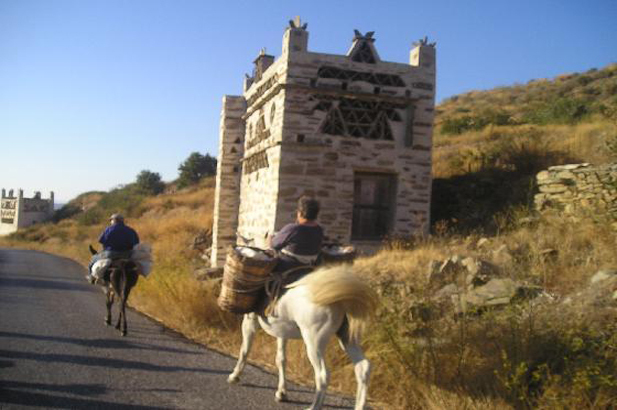 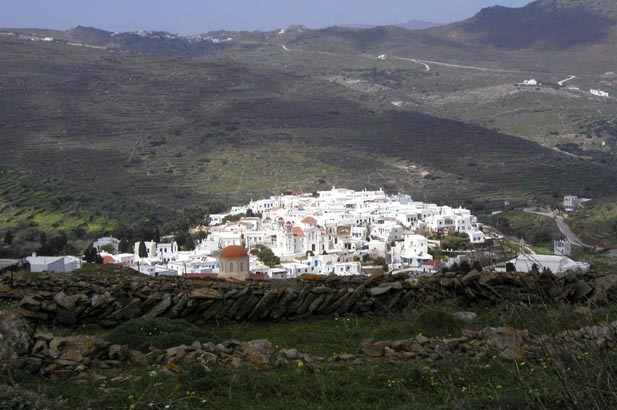 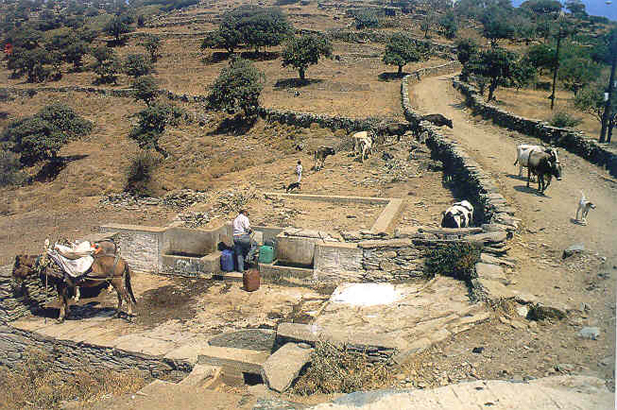 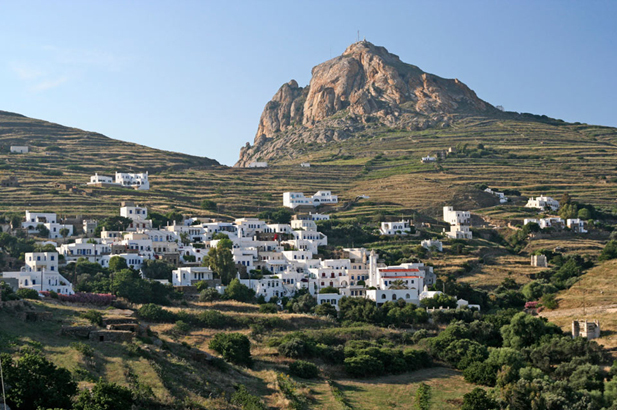 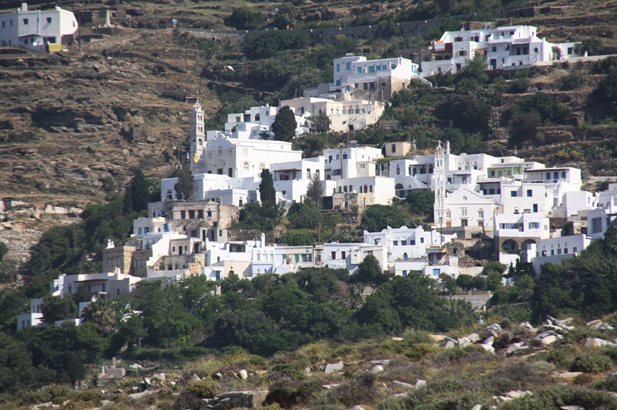 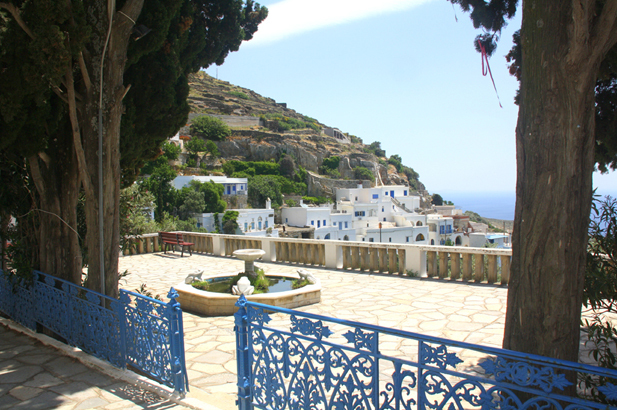 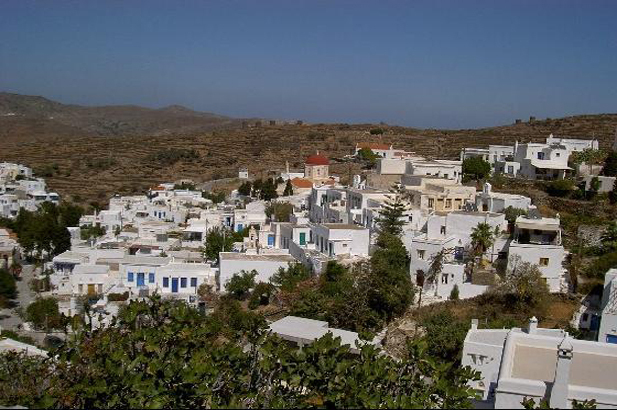 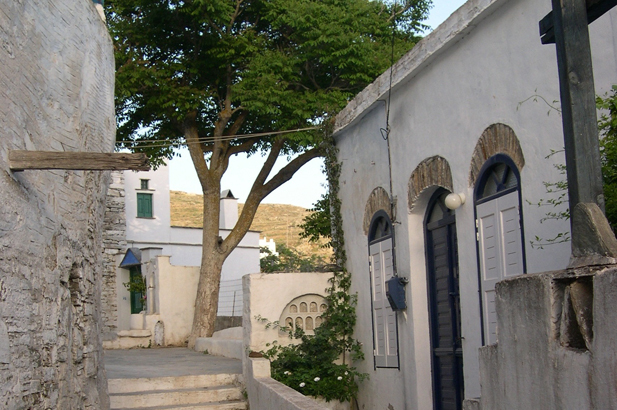 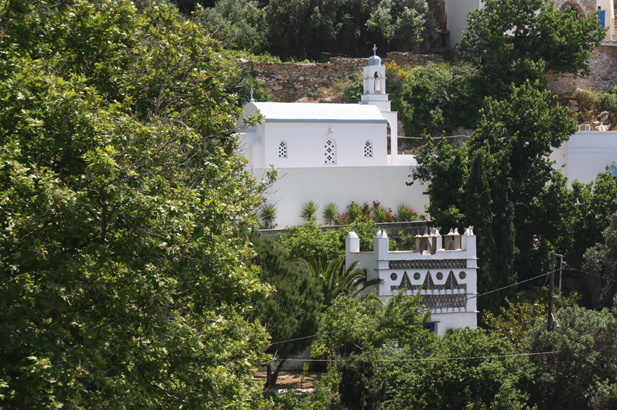 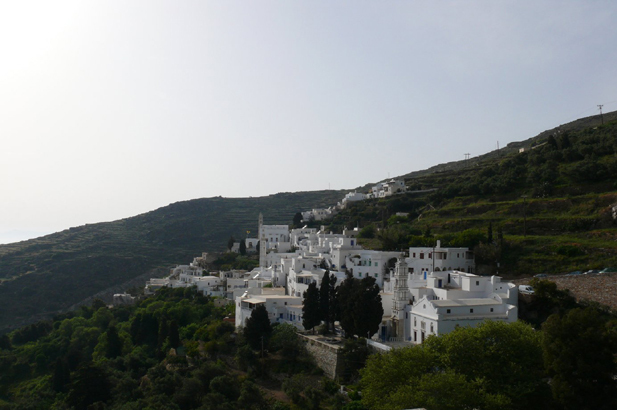 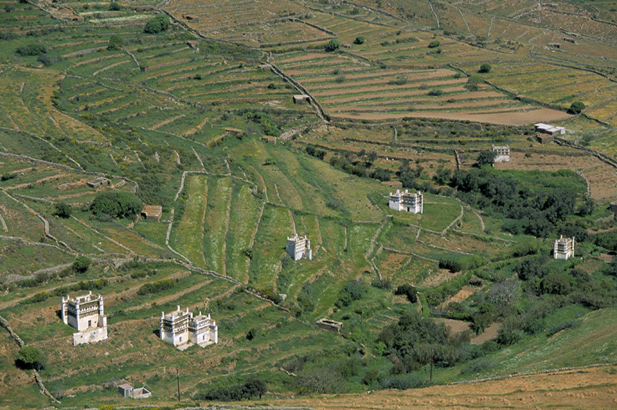 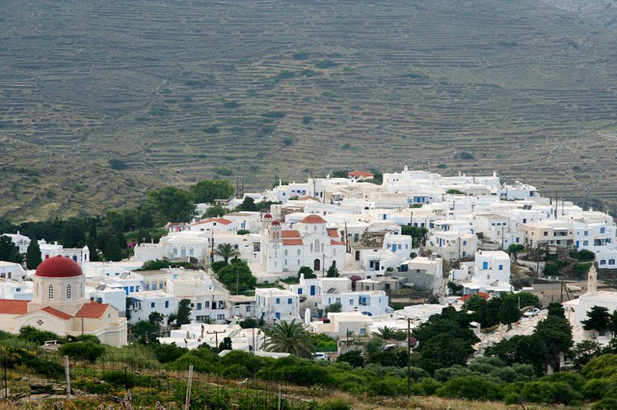 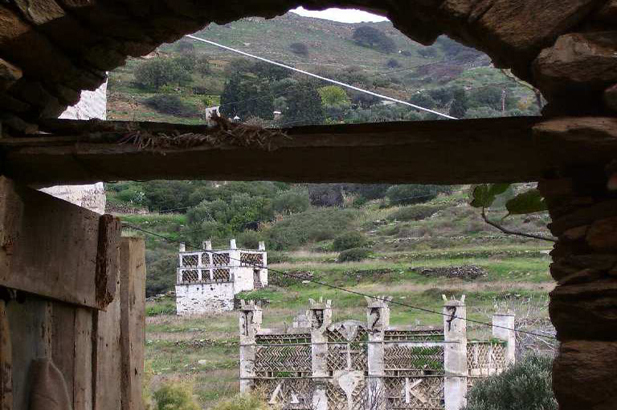 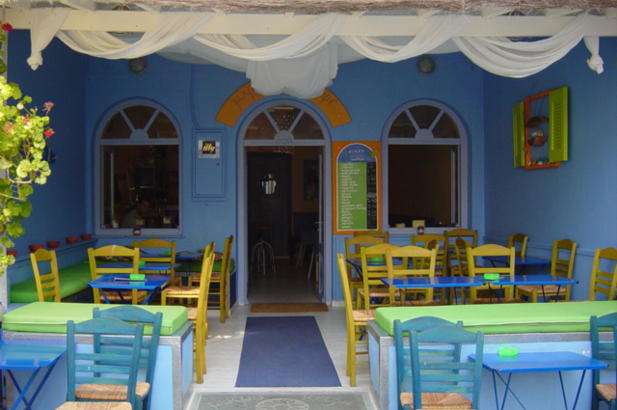 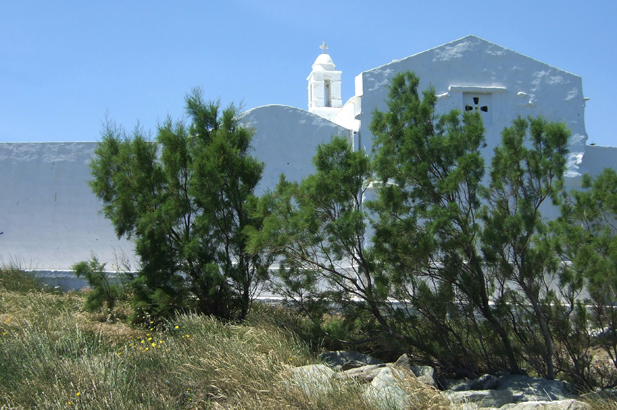 There is a divide between the Hora (town) of Tinos (with its topping of an ice-cream-white church of the Panaghia) and the mountainous country villages, with their traditional architecture and dovecotes perched high above wavy plateaux and small lush valleys of well-developed agriculture and full of running streams. 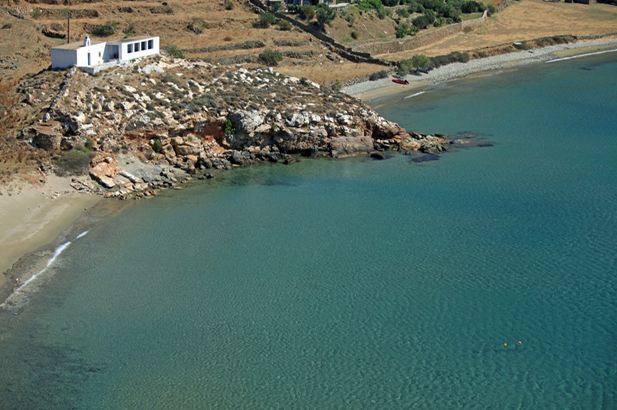 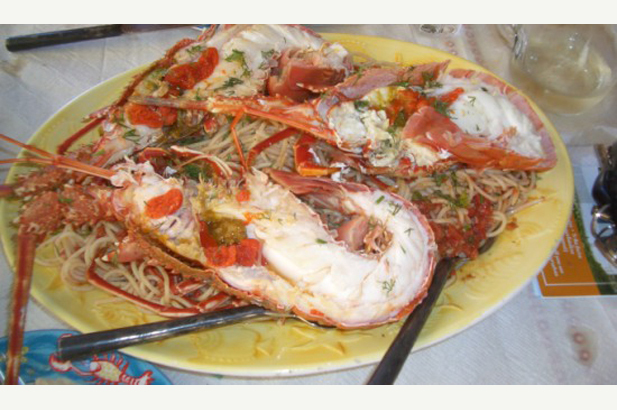 There are innumerable bays and beaches to drive to – you will truly be spoiled for choice – and the small port of Panormos is developing the best seafood tavernas on the island. 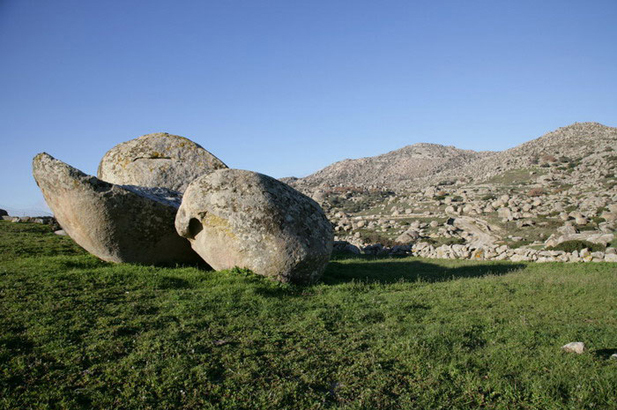 The village of Volax in the north is glued into a moonscape of giant boulders and still produces generations of basket-weavers, and is a perfect modern amphitheatre for its artistic events. 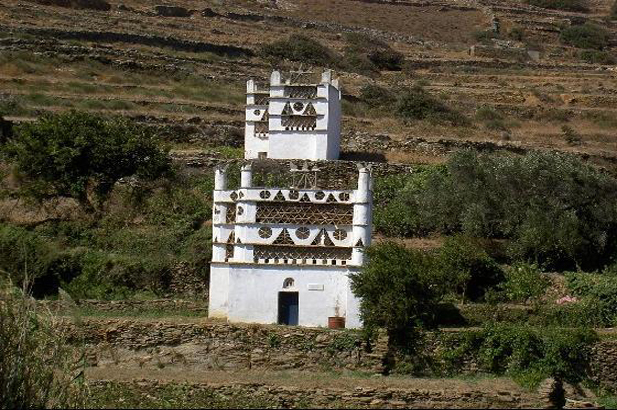 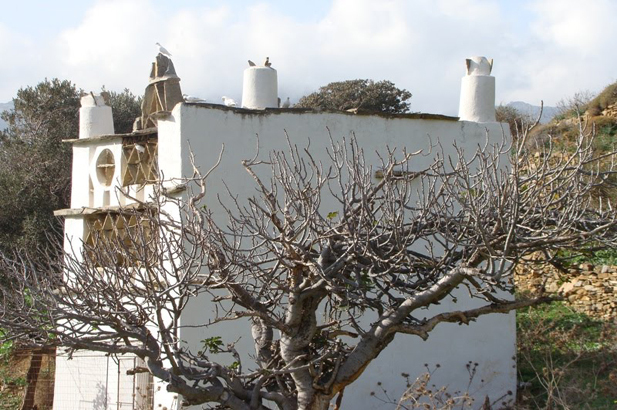 The 800 pigeon-lofts or dovecotes are never identical. 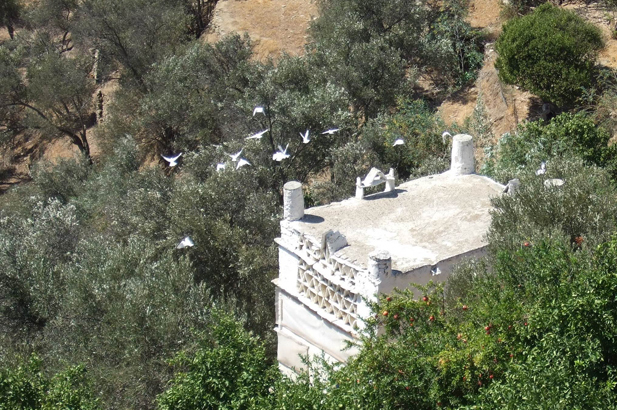 The artistry and good taste of the local artisans created these practical barns and decorative bird houses after Venetian feudal occupiers encouraged pigeon breeding. 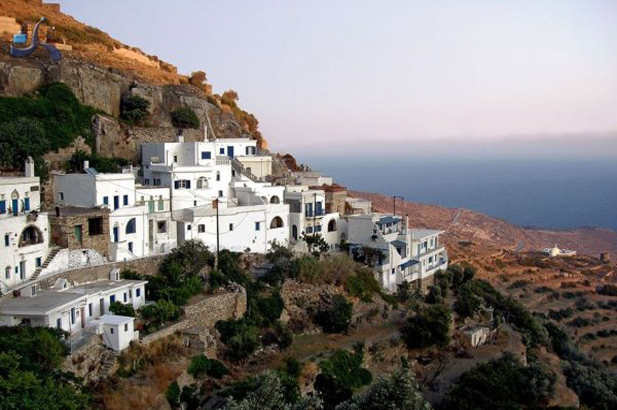 Unspoilt sandy beaches, marble carvings, the architecture of arguably Greece's most picturesque villages, polite, devout and hospitable islanders, marzipan, a traditional and cultured atmosphere and some great food. 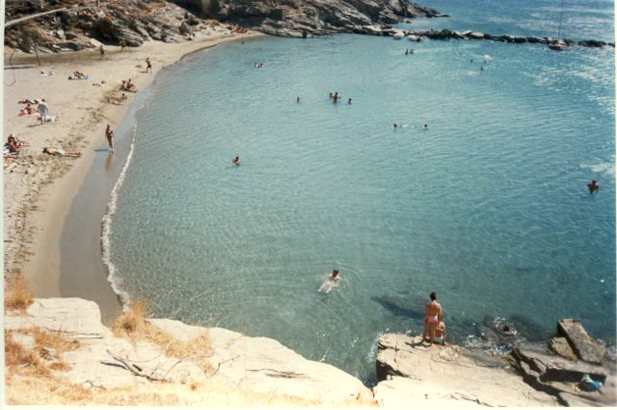 Easy access to Athens by frequent ferries and hydrofoils. 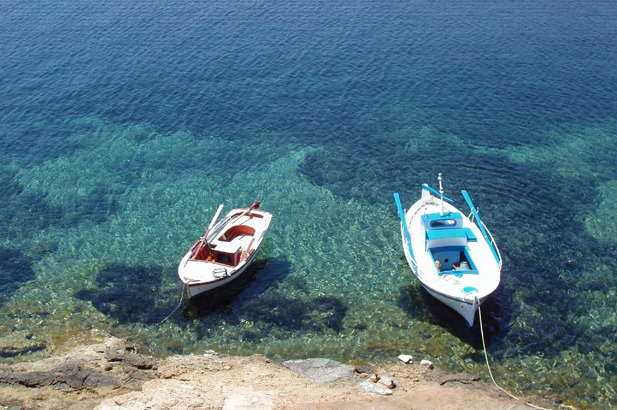 Wind and pottering about in small boats: the buffeting northern winds (meltemi) blow 120-160 days a year, as in most of the Cyclades. 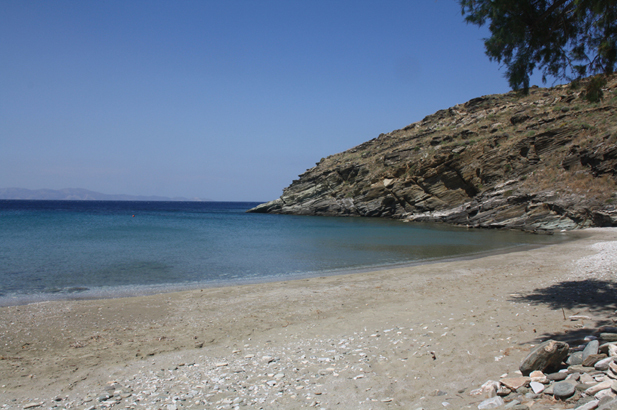 No organised water sports to speak of. 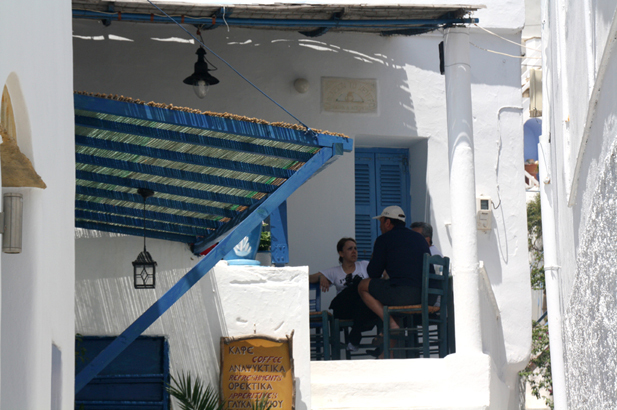 Architects, artists, beachcombers, walkers and lovers of tradition and excellent food. 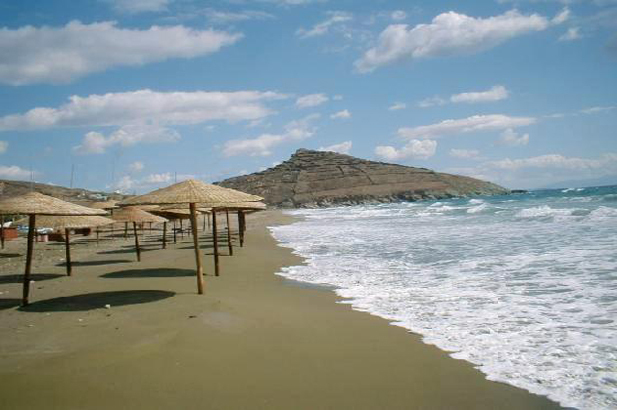 Flamboyant socialites wanting organised beaches with waiter service. 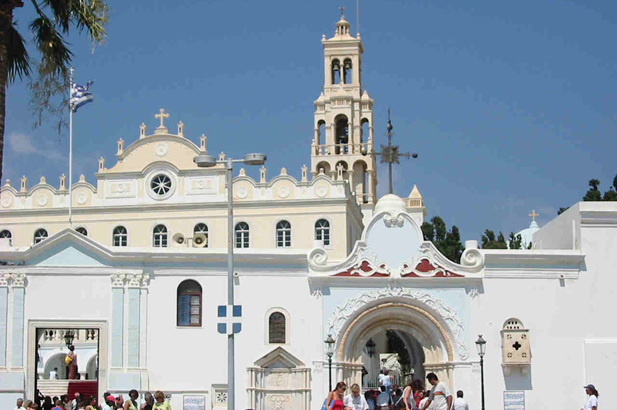 Seeking a blessing from the miraculous icon of the Virgin Mary every August 15, the greatest pilgrimage in Greece and a spectacle for photographers with its carnival atmosphere. 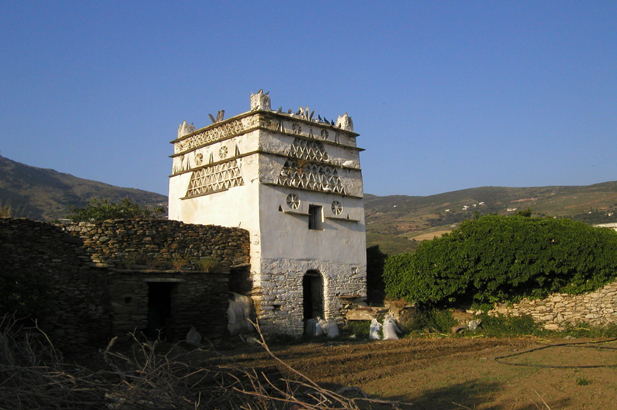 Eight hundred Venetian dovecotes with lacy stucco piercings, and the same number of churches and country chapels. 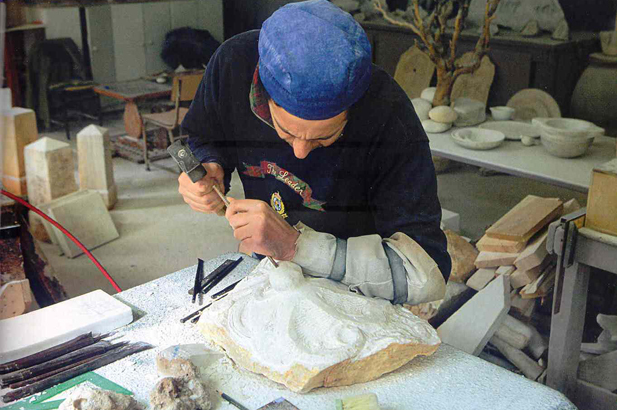 The sculptors' school. 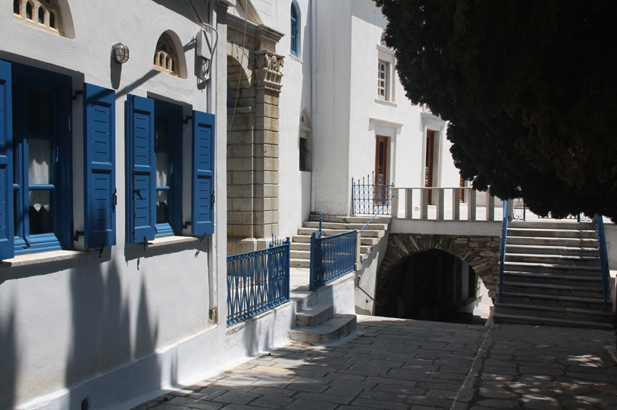 Intense nightlife in the old part of town, shopping (for marble fanlights, honey, cheeses, art works from the School of Fine Arts at Pyrgos, baskets at Volax), as well as heavenly swimming, sunning, sailing and exploring. 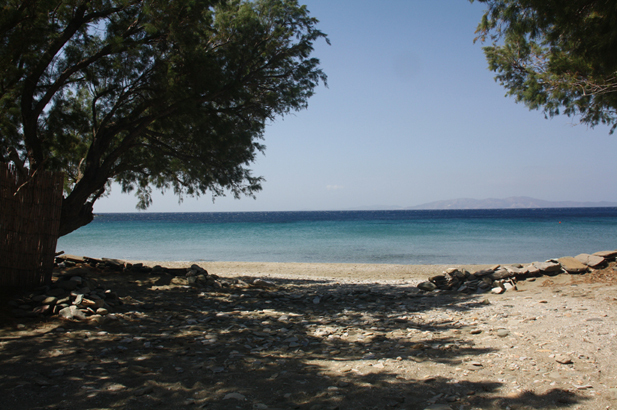 Take a picnic, your snorkeling gear, your sketch book and camera, and explore. 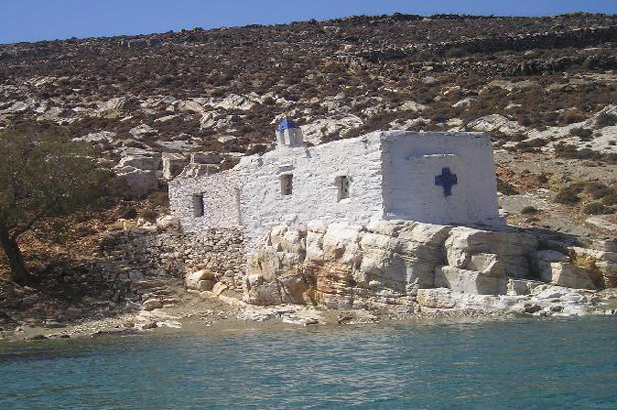 Mykonos is just a short trip across the water if it all gets a bit too tasteful! 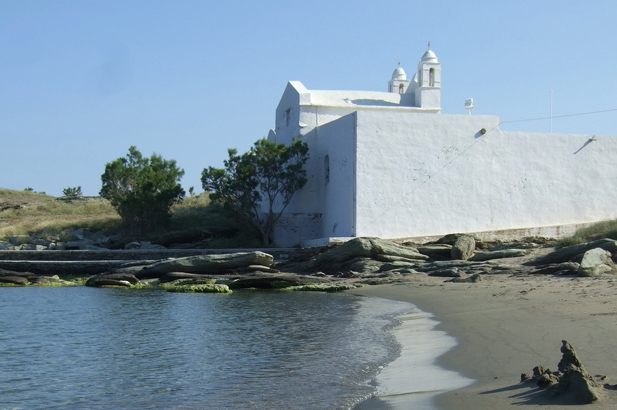 Make sure you really do want to visit around August 15 and share the island with many thousand devout pilgrims. 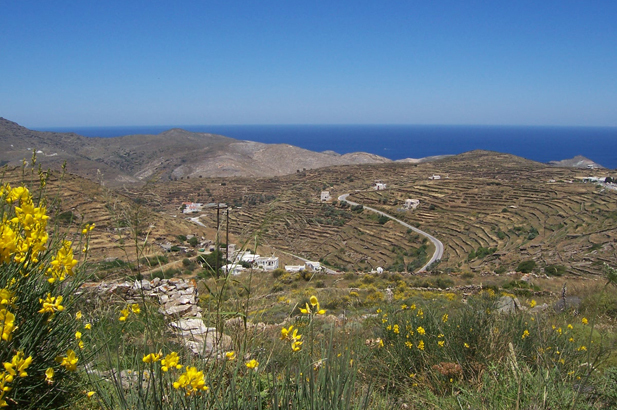 May/June and September/October are perfect for wild flowers, beaches to yourself, and characterful tavernas open after long walks on windless days to search out the indigenous porcupines and badgers.